FAYETTEVILLE, TN- The Southern All Star Dirt Racing Series presented by MaxFab will kick off year 35 as it has done for several years at the 16th Annual March Madness at Cherokee Speedway in Gaffney, SC., with a 60 lap $12,000 to win event that will pay $600 to start Sunday afternoon March 4th. Southern All Stars and Cherokee Speedway have a long history of racing and over the past years the series has sanctioned all but one of the March Madness races and has also sanctioned several other events at the track throughout the years and is currently working on scheduling another event at the track for later in the year. 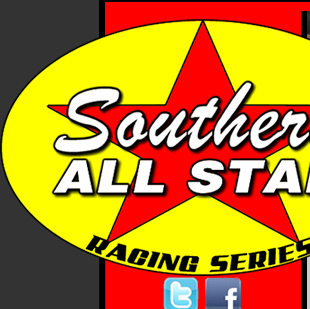 Southern All Stars looks to have a good field of drivers that are planning on tackling the series again this year as 2017 Southern All Stars Dirt Racing Series Champion & Cruise with the Champions/Dirtondirt.com Rookie of the Year Austin Horton of Newnan, GA., looks to return to defend his title as well as look into running a few more higher paying races during the season. Tristan Sealy of Moultrie, GA., is coming back in 2018 after his runner up place finish in 2017 Tristan will make a run again for the title in 2018 as he will going back to tracks for the second year in a row and he has some notes and experience to use. Eric Hickerson of Linden, TN., has plans on returning in 2018 as he came home third in points as well as the 2017 AR Bodies Challenge winner for 2017. Eric had his first full time run with the series last year and will also use his gained knowledge to make a strong run toward the 2018 title. T J Reaid of Acworth, GA., came home in the fourth spot in series standings and by all indications plans on making the title run again in 2018 T J got one win last year at Talladega Short Track. Bad Skinner of Spring Hill, TN., will be back in 2018, Brad had plans in 2017 to run but a crash at Smoky Mt early in the year slowed the team down with cars and he had to miss a few races but he made a strong run late in the season to come home in fifth place. Pit gates will open at 10:30 am with registration & tech open till 12:45 hot laps at 1 pm.